Google was very smart for giving people the opportunity to customize the Android system. Google truly understands what people want, and this understanding can be seen through the success of Android. I think Android has the potential to become an industry standard. 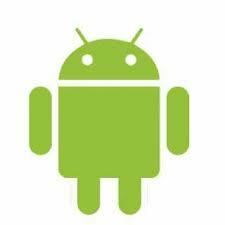 As an Android user, I think Android is very user-friendly, and I cannot envision myself using iPhone or BlackBerry. I am actually a dedicated Android user. Not to bust anyone’s chops, but I totally hate apple! Android is oh so user friendly, and users have so many options for customization. In my opinion, Android has already affected the “future” of technology TODAY, and will continue to do so drastically. Whats next??? Who knows! Im sure it will be awesome. I found this article interesting. Google and the android system has created a separate market for its service, allowing practically anyone to create their own version of the system. Android will definitely effect the future products to come.It has become a community of inventors. By allowing people to use their software, Google has opened up more opportunity for future innovations and the growth of technology. It calls for less energy and man power.